Allen, David. Getting Things Done. New York: Penguin Books, 2015. Kogon, Kory, Suzette Blakemore, and James Wood. Project Management for the Unofficial Project Manager. Dallas: BenBella Books, 2015. Morris, Martha. Managing People and Projects in Museums. Lanham, MD: Rowman and Littlefield, 2017. As you can see, I incorporate a variety of perspectives both inside and outside museums, from close-up details to the big picture. 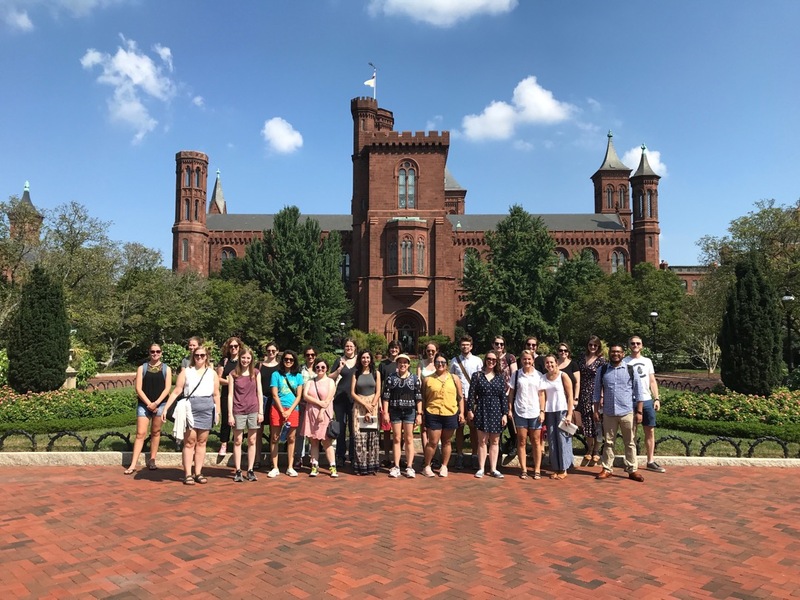 For the final assignment, each student will develop an application for the Museums for America grant program at the Institute of Museum and Library Services (IMLS). A month ago I sent out a call to museums to see who would like a head-start on an IMLS grant application and as a result, we’ll be working with the Delaware Historical Society (Wilmington, DE), Mercer Museum and Fonthill Castle (Doylestown, PA), and San Francisco Heritage/Haas-Lilienthal House (San Francisco, CA)—all terrific institutions. In early December, each museum will receive five applications that can serve as inspiration, guide decisions, and perhaps even be submitted to IMLS. In exchange, students will gain experience in preparing a federal grant application and in planning a major project for an actual museum, giving them useful real-life experience for future employment (no kidding around with imaginary tasks). If your museum or historic site would like to participate next year, look for the announcement in August. The Haas-Lilienthal House, Mercer Museum, and Delaware Historical Society will serve as case studies for projects this semester at George Washington University.